In 2012 an unusual study was conducted in the United States. Emerged, a man who kisses his wife before heading off for work earns more than a hubby who ignores such a procedure. 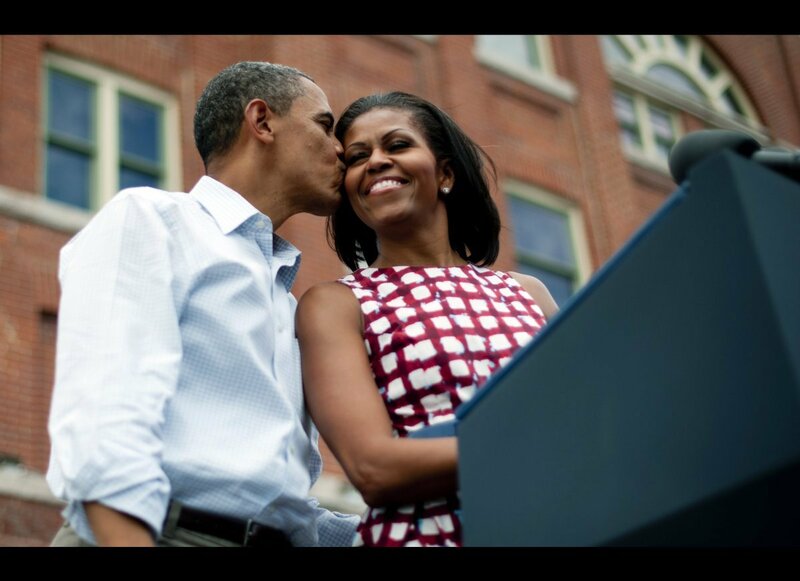 278 – that is the number of bacteria transmitted when a pair of smoochers lock their lips. Luckily, 95% of germs are harmless. Kissing makes 34 facial and 112 postural muscles work, which has beneficial effects on skin smoothing wrinkles. Also, instead of 20 breaths per minute which is a norm for average person, kissers make two or three times more, as a result heartbeat raises up to 110 for men and 108 for women, which causes blood vessels to dilate and enriches tissue with oxygen. The first kiss appeared on the silver screen in 1896, in a short clip by Thomas Edison under the straightforward title "The Kiss". 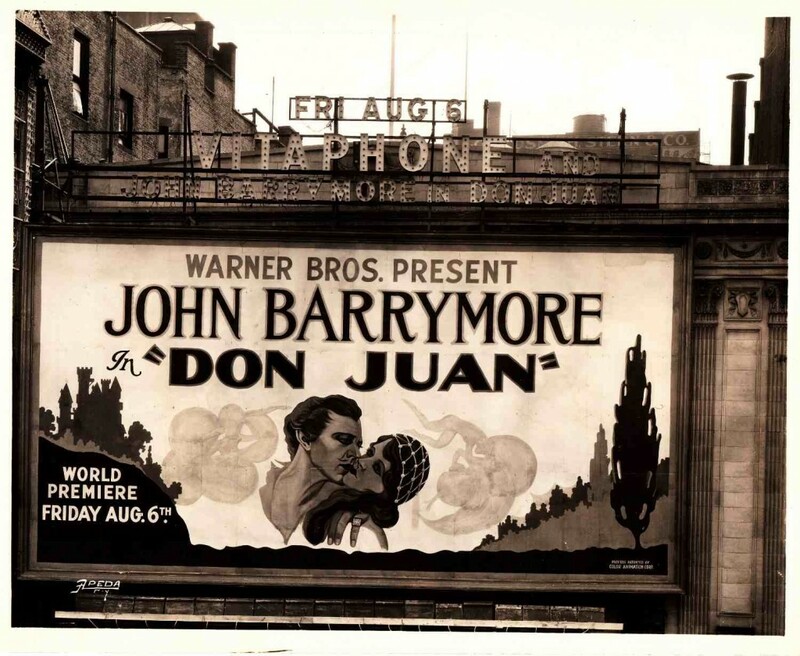 The movie having the most kisses in film history is "Don Juan" of 1926 where characters’ lips locked 191 times. African primitive tribes had no idea what the Europeans were doing while touching each other’s lips. 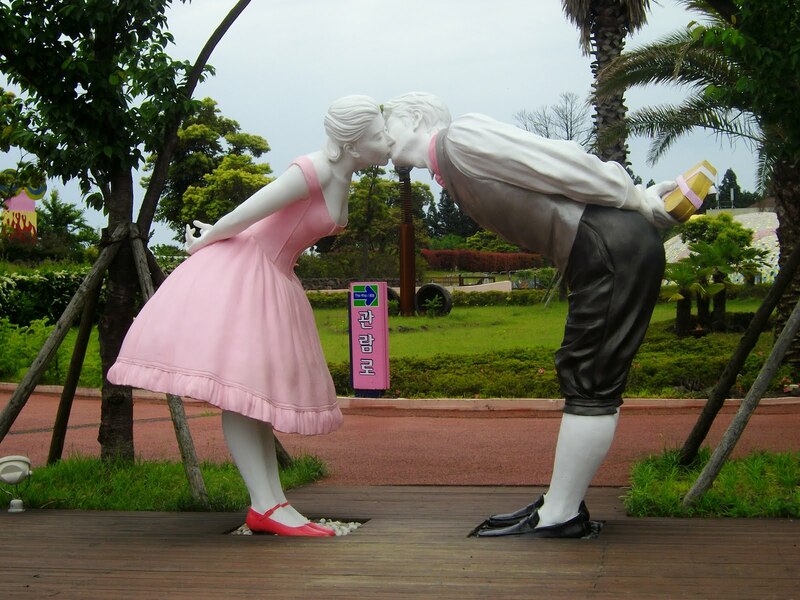 Despite the fact that in Asia kissing in public is a no-go, and they frown on showing affection in public, in 2004 in South Korea opened the "Love Land" theme park filled with far-from-being-chaste sculptures. Now the place features more than 150 exhibits created by a group of art school grads from Seoul's Hongik University. This evidences that young people in highly moral country are still good judges of love pleasures. Calculatedly, the average woman kisses with 7.9 men before marriage. 6% of people engage in the act of kissing with eyes closed. Lest you think that all those facts we have put out of a hat, for your information, there is a science "philematology" which focuses on studying kisses. If you are still reading, and have not pucker up to your lovers to enrich tissue with oxygen, then meet our selection of three exciting place for a great smooch. And it's not all about beautiful landscape, but history. 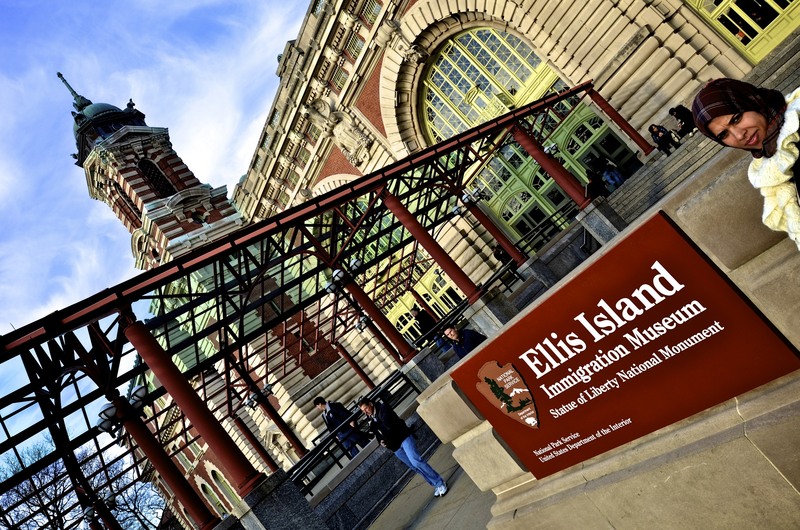 For many years this piece of land situated in the bay of New York was an inspection station through which all immigrants coming to the United States were required to pass. Most people awaiting their relatives and friends could not hold back emotions and new arrivals were greeted typically with tears, hugs and kisses. So the military facility was colloquially nicknamed with a simple and true title "The Kissing Post". It would seem not the most romantic destination. However, local cleaners are sure to complain how tired they are to wipe away lipstick traces covering the tomb of Oscar Wilde. In 2011 the glass barrier has been erected around the tomb to discourage "vandalism" from adoring fans. As you know, the author got imprisoned for misdeeds including kisses with men. This cute "shed over water" built in 1881, as if would have been created for intimate pleasures. Fabulous lightening filling this shaky and shabby bridge makes it pretty romantic. 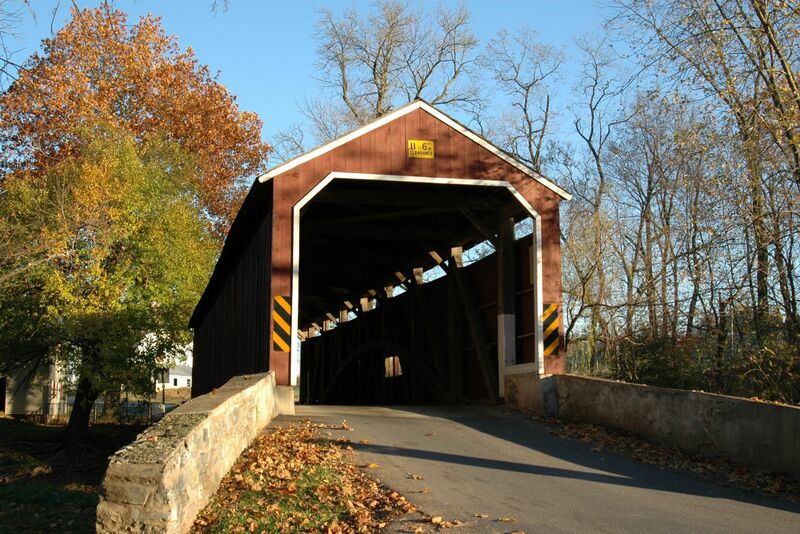 The construction is best known for being the last remaining historical covered bridge in Ontario. By the way, according to one legend a wealthy and married industrialist ordered to build this crossing to kiss his lover hiding passion from prying eyes.